“Going to prom is like going on a trip,” says Kyle Richards, star of the reality show, Real Housewives of Beverly Hills. Teens “want to be in shape, they want their skin to look the best, they want the best dress and shoes,” she points out, but all that glam can be overwhelming for moms. We sat down with Kyle to go over the pre-prom checklist your teen will want to accomplish, and how you can help them do it. Of course, the dress is the centerpiece of a prom night, so your teen is likely going to beg for the perfect one. Be patient with her as she scours the racks of sequins and lace, and encourage her to make a decision you’re comfortable with, while remaining supportive. “I made sure that they picked something they felt really good, beautiful and confident in, but that looked elegant, we did not want any trashy-looking prom dresses,” Kyle said. Be sure to start dress shopping with enough time to get it tailored before the big night (most tailors ask for two weeks to complete a job, but bear in mind it’s a busy season for alterations). Depending on how your teen and his/her date plan out their corsage and boutonniere situation, you may need to remind them to order flowers ahead of time, at least a week before-hand to give the florist time to stock the desired flowers. Then, your teen should pick up the flowers the day of to ensure they are fresh. 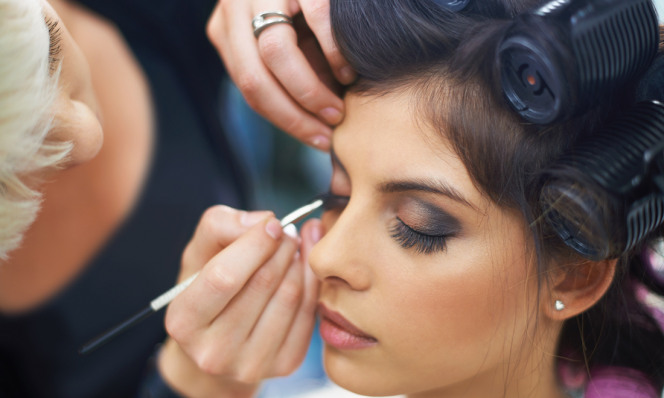 If you and your teen decide on going the professional route with hair and nails, be sure to book the appointments about a month ahead of time, because salons will be packed with other high-schoolers wanting to look their best. Book a nail appointment that falls 1-2 days before the actual prom, and get hair done approximately five hours before the start time. This will give your teen enough time to change the style if she desires, and ensure that she doesn’t have to rush to get dressed and out the door. “A bunch of parents went in on sharing a car to make sure that no one was ever drinking and driving,” Kyle said of her own daughters’ proms. “We can say ‘oh, they’re not 21 of course they won’t drink,’ but that’s not realistic.” It’s true, it’s impossible to be with your teen every step of the way, so acting with precaution is the best way to prevent drinking and driving. Limousine and car services recommend booking at least three months in advance, because prom is such a popular time to book a car service. The photos are arguably one of the most important parts of the whole evening. 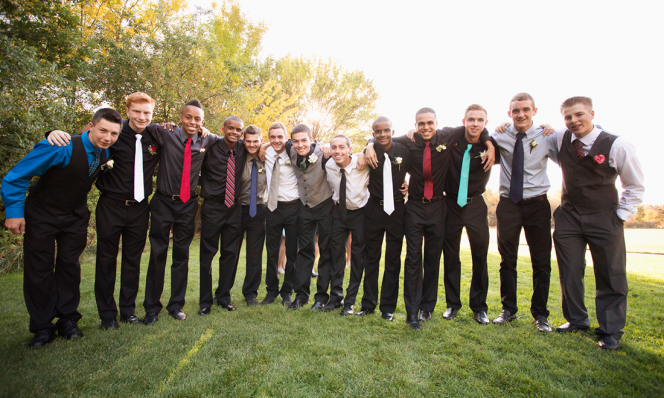 Your teen is likely going to want to get together with all his or her friends and their dates for a round of photos. Kyle said she and her husband hosted the friend of her oldest daughter’s prom photos, but “the other two were at someone else’s house. My husband and I went, we brought the young ones and took pictures. It was nice.” This might even be the perfect opportunity to get a nice photo to frame for the living room with a generally camera-shy teen. Perhaps give your teen a friendly reminder that if shoes are uncomfortable upon first try-on, they may not be the best option for prom. “Trust me,” Kyle warns, “don’t wear shoes that you’re going to be miserable all night in, then your night is going to be ruined.” About a month before prom, remind your teen to walk around the house in his or her shoes to break them in a bit. 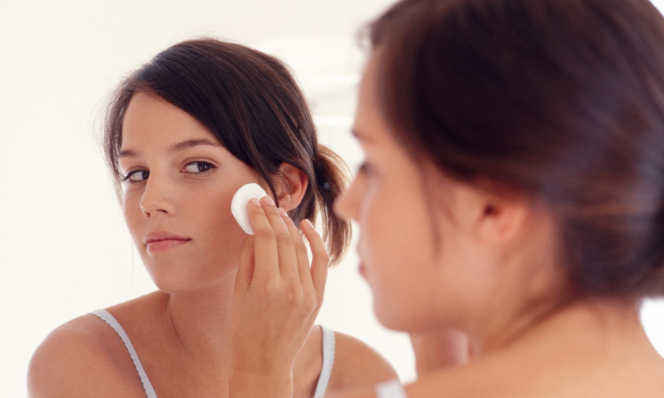 Kyle shared great tips to help teens tackle their skin issues before the big night. Read all about it here. The conversation you have with your teen can have an impact on the rest of their life—not just prom night. Take advantage of this opportunity to discuss all types of safety concerns, including health issues like human papillomavirus virus (HPV) and underage drinking. 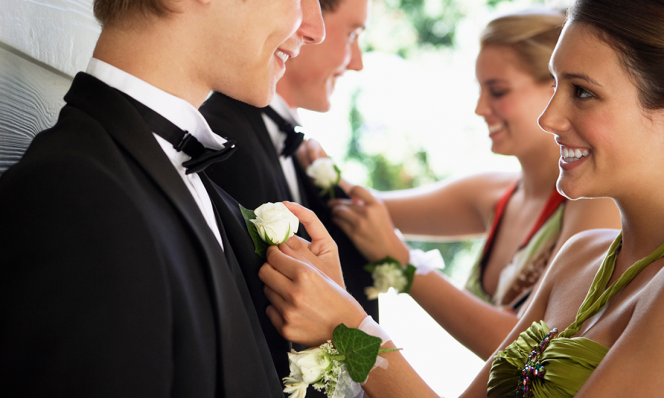 You might be worried about how to talk to your teen about being safe the night of prom. Even Kyle admits, “I don’t know, it’s kind of terrifying, like what do they all do on prom night? !” It’s important, to “have those conversations with your kids about what they plan on doing, and giving them a time to be back by, when it’s appropriate for it to be over. I trust my girls, and they know they can come and talk to me, so I really do trust them a lot,” she said.